Our pinpoint oxford cloth men's shirt is made of 60/40 cotton/poly fabric. 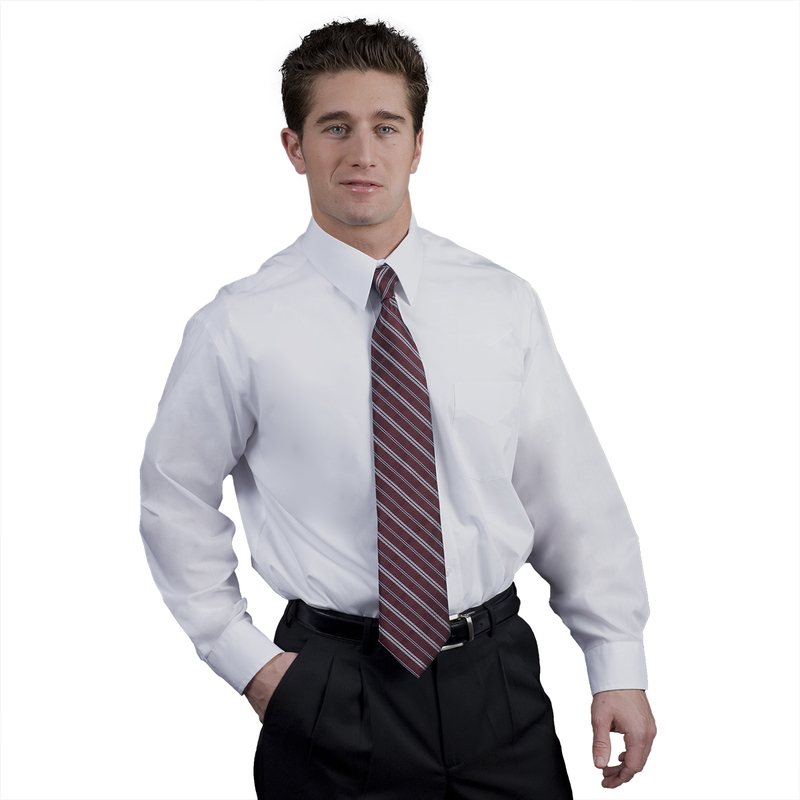 It is wrinkle resistant and features a buttonless collar, a patch pocket, a sleeve placket and pearlized buttons. It comes in white and is washable.